Two pairs of parents hold a cordial meeting after their sons are involved in a fight, though as their time together progresses, increasingly childish behaviour throws the evening into chaos. 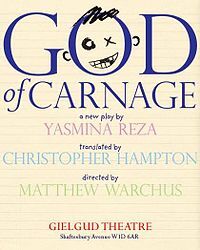 Directed by Josh Sweet, God Of Carnage will run from 14th – 15th of November. 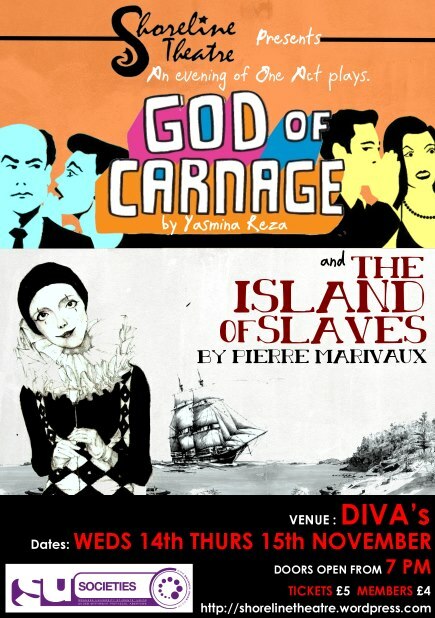 It will be performed in one act alongside The Island Of Slaves in DIVA’s bar, Fulton House.